Au revoir à la pionnière des Services de garde B.A.S.E. 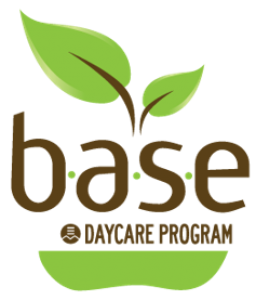 Daycare Week, Food Revolution, Garden Blitz festivities and more! L’école primaire Gardenview se joint à la grande famille B.A.S.E. Sharing the Spoils & Fun of Edible Schoolyard Gardens! Cooking, Physically Active Pedagogical Days, Unique Environmental Activities & more! Bees, Gardens, WE Club, Pedagogical Day Fun, Play it Fair and more! B.A.S.E. Daycare appears on CBC News for its Food Revolution Day Celebration! Ms. Melina Trimarchi appears on Global News Morning to talk about the B.A.S.E. Daycare Food Revolution Day Celebration. Puppet Play Performance, Comic Book Adventure, Pet Empathy, Yoga and more! Rights & Values Games: Creating Leaders with Play it Fair! Drama Therapy, Food Literacy, Composting Program and more! General Vanier fait son compost! The PAWSitive Leadership Program at Westmount Park School Daycare made front page news.